November | 2013 | Mike Lamberti, From Margate To Cleveland, And Back ! It’s been an up-and-down season at Wayne Hills High for its storied football program. But first-year head coach Wayne Demikoff has been around Patriot land long enough to know that its best games may still lie ahead. Demikoff arrived at Wayne Hills as an assistant coach in 1999 and remained in that capacity through last season, under legendary head coach Chris Olsen. He has a nice collection of eight state championship rings. And while this year’s 5-4 team in regular season play showed signs of being really good, too many mistakes and a lack of mental focus, at times, hurt the team in close games. Wayne Hills hopes to add a ninth championship to its legendary football program this year. Now, as the team prepares for its usual appearance in the NJSIAA playoffs beginning on Nov. 15, the Patriots seem to have amped up the intensity level. Wayne Hills will play Northern Highlands, at home, in a battle of the fourth and fifth seeds in North Jersey, Section 1, Group 4. Last Saturday morning, As he reviewed the films of last week’s 14-10 loss to Paramus in the regular season finale from the previous evening, Demikoff reminded his players of some facts. “Most of you have been playing this game since you were six, or seven years old,” Demikoff said. “That’s 10 years out of your life devoted to football. Many of you won’t play at the next level, so this game (against Northern Highlands) could be the last time you put the uniform on. Do you want your last game to be on Friday? Or do you have three games left in you, where if you play to your capabilities, can result in you wearing a state championship ring? The answer may be quite positive for Demikoff, as his team enjoyed two solid days of practice earlier this week. “It’s the playoffs, this is when Wayne Hills plays its best football,” Demikoff said after Tuesday’s frigid workout at Patriots Stadium. While the Northeast has been hit by a whicked cold spell early this week, the forecast calls for better weather by Friday’s game. And for a team that is 1-4 at home (they’re 4-0 on the road), it’s hard to comprehend the 2013 Patriots stubbing its toe again at Patriots Stadium. The answer to that (hopefully) three-part question begins to take shape on Friday night. While Passaic Valley needs either a Wayne Hills, or an Old Tappan victory to clinch a playoff berth this weekend in high school football, there’s plenty of incentive for Hills to grant PV’s wish. A victory by Wayne Hills on Friday night, at home against Paramus, clinches the third seed for the Patriots, who would, more than likely, face Randolph in the first round of the playoffs on the weekend of Nov. 15. A Hills loss would bump them to the fourth seed, which still means a home game, but opposite Northern Highlands, whom Hills faced in the first week of the season and defeated, 17-14. Gaining the third seed means playing either No. 2 Old Tappan or seventh-seeded Morris Knolls in the semifinals, assuming a win in the first round, while the fourth seed probably means a game at top-seeded Pascack Valley in the semifinals. Again, there’s plenty of incentive for both Paramus and Wayne Hills to play a top-level game on Friday night. 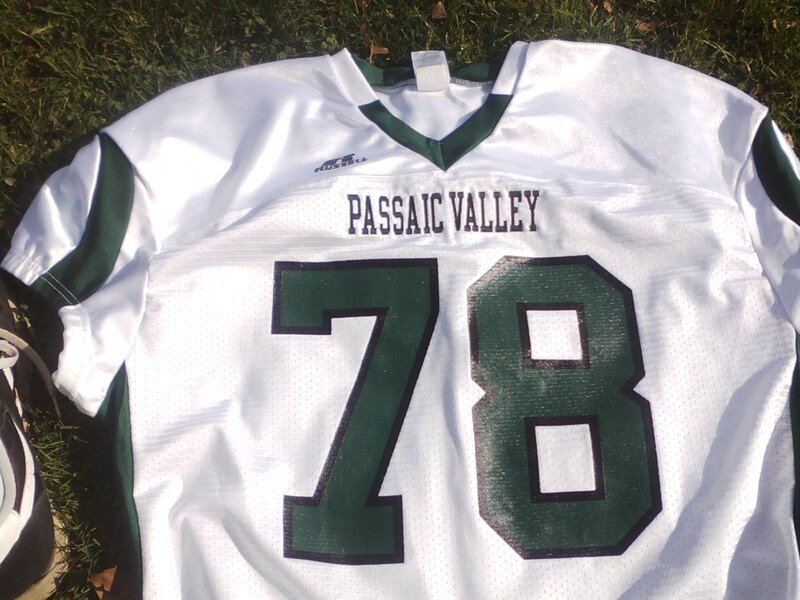 The Passaic Valley football team is on the cusp of qualifying for a playoff berth in North Jersey, Section 1, Group 4. If it happens, it would be the first time since 2009 that the Hornets made it to the playoffs. That season, the team advanced to the championship game at the old Giants Stadium, in North Jersey, Section 2, Group 3, before losing a close game to West Morris Central. Had PV won last Saturday’s game against Lincoln, it would have already clinched a berth. But the Hornets lost on a fourth quarter rally by the Lions from Jersey City and fell, 30-22. So, for Passaic Valley, which takes a 4-4 record into a home game with Bergenfield this Saturday, the scenarios are somewhat simple to earn a playoff berth, and, on paper, seem more than attainable. 1-PV’s game with Bergenfield will have no effect on the playoff format. The Hornets want to win to finish the regular season above .500 and will be a slight favorite to do so. 2-If Wayne Hills defeats Paramus on Friday night, the Hornets will clinch the eighth, and final seed, in the section. 3-If Hills loses to Paramus, then the Hornets need Old Tappan to defeat Teaneck on Saturday night. That’s also a good possibility in that Old Tappan is 7-1, and locked into the second seed in North Jersey, Section 1, Group 4, while Teaneck is 1-6, But the Highwaymen have a lot of talented players at the skill positions and you never know about a game in which a team has their berth clinched and may be looking ahead. PV head coach Bill Johnson has been around the game long enough to know he can only control what his team does. But the veteran coach is also guile enough to be rooting for his two favorite squads, Hills and Old Tappan come this weekend. Wayne Hills had dropped a 21-17 decision, at home, to Passaic Valley on Oct. 25 and the mood wasn’t good the following morning when the Patriots met for a team meeting and film review. Following the film, defensive coordinator Jermain Johnson issued a plea for his team to play to its capabilities. The plea was emotional and heartfelt, as a way of telling a group of teenagers the passion that is needed to succeed on the gridiron at this time of year. Johnson’s message did indeed resonate for the Patriots, which had a good week of practice leading into the Nov. 1 game at undefeated Passaic County Tech. There were changes to be made last week, beginning at quarterback where Pete Palczewski took over for Justin DeGroat, who hurt his ankle in the PV game. When it was clear DeGroat wouldn’t be available for the PCT game, offensive coordinator John Jacob didn’t flinch. And Palczewski, a 6’3″ junior with a good arm, was more than ready to meet the challenge of his first varsity start, in a week eight game that had huge playoff implications against PCT. It’s become a cliché to say a quarterback manages a game, but Palczewski did more than that. He gained a great deal of confidence as the game progressed, drawing PCT offsides on numerous occasions with a hard count and cadence. After getting through some jitters in the first series, Palczewski began to find his rhythm later in the first quarter, completing a big pass to Frank Falzarano and then throwing a majestic 75-yard scoring bomb to Steve Pusterla that made it 14-0 in the second. Erik Martinez’s kicking continues to go under the radar, but really shouldn’t. The senior converted on five more PAT kicks and hasn’t missed a PAT since his first attempt as a sophomore in 2011. He also booted six kicks into the end zone for automatic touchbacks against PCT. Martinez, also a team captain, sounded the rallying cry, so to speak, when at PCT last Friday, the P.A. announcer introduced the ‘undefeated Passaic County Tech Bulldogs’. After getting hurt in the first half of the Sept. 20 game against Wayne Valley, lineman Chris Lohmann was back in the Patriots lineup last Friday and played well. He threw a few crushing blocks, including a pancake in the PCT end zone on a running play. Pusterla continues to show marked improvement since he broke his collarbone on Aug. 7. Originally, the senior captain returned for the Wayne Valley game, but he needed some more time to get back in shape and missed the next two games before playing significant minutes at Teaneck three weeks ago. Pusterla’s TD catch in the second quarter was a sure sign he’s almost 100 percent back. Pusterla also played defense for the first time this season and punted well, too. Sophomore lineman Joey Kenny and his older brother, Anthony, are usually in head coach Wayne Demikoff’s dog house more than most, but both guys have played well for the Patriots, especially lately. Joey Kenny may be the most enthusiastic player on the Hills roster. Demikoff also noted the improvement of junior lineman Derek Bastinck, who showed plenty of energy and drive in the PCT game. That same effort is true of Kyle Brackett, another talented underclassman who contributed mightily at defensive end. “Again, Kyle makes some mistakes, but he’s always improving and he gives us that push that shows us he cares,” said Demikoff. Senior captain and offensive lineman James Kelly continues to play well for the Patriots. Wayne Hills junior quarterback Pete Palczewski will get his first varsity start on Friday, Nov. 1, when his Patriots travel to Passaic County Tech for a huge game with playoff implications. The reserved, but enthusiastic Palczewski has been practicing well for Wayne Hills. Playing mostly JV ball and running the scout teams this fall, he appears comfortable with Wayne Hills’ game plan. Palczewski and his teammates will look to snap a two-game losing streak against an unbeaten PCT team, that will take a 7-0 mark into Friday’s game. A win assures Hills a playoff berth, and possibly a home game, while a loss could keep Wayne Hills (4-3 heading into Friday night) on the outside, looking in, in North Jersey, Section 1, Group 4. Palczewski takes over for Justin DeGroat, a senior, who injured his foot in last week’s loss to Passaic Valley.